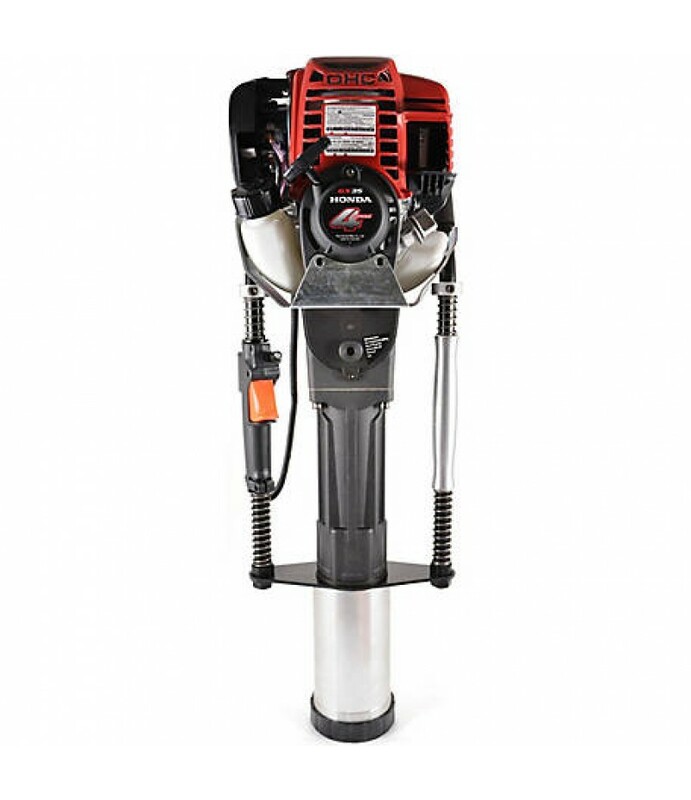 The Titan PGD3875H 4-Stroke Gas-Powered Post Driver is a powerful and portable gas-powered post driver. It is easy to lift, move, and carry down the fence line and drives posts in half the time of a manual driver. The 4 in. barrel.. The Titan PGD3875H 4-Stroke Gas-Powered Post Driver is a powerful and portable gas-powered post driver. It is easy to lift, move, and carry down the fence line and drives posts in half the time of a manual driver. The 4 in. barrel accepts posts up to 3-7/8 in. in diameter. This is the only Titan Post Driver that accepts 3-1/2 in. U-channel. Includes 1 in., 2 in., and 3 in. adapter sleeves for driving posts, rods, or rebar smaller than 3 in. in diameter. Comes with tool kit for servicing and a protective storage case. Load Capacity: 4 in. barrel accepts posts up to 3 in. in diameter. Size: 17 x 39 x 14in.